Midfielder Kenny Dougall sustained a broken leg in last week’s goalless draw at Doncaster, joining 18-goal striker Kieffer Moore on the sidelines for the rest of the season. 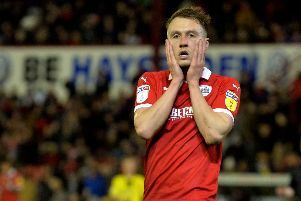 The Reds are also without goalkeeper Adam Davies and winger Ryan Hedges, both on international duty with Wales, for Saturday’s League One clash. But winger Jacob Brown and midfielder Cameron McGeehan return from suspension, while Ben Williams is back from training with Wales Under-21s and fellow defender Dani Pinillos could be passed fit following an eye problem. Tonge is therefore confident the Tykes have enough quality to continue their automatic-promotion push. “We are without them, and losing Kenny Dougall was another blow,” Tonge said. “But we have others coming back into the group and are fully confident in continuing our good form. “It is another situation we will overcome as a group and hopefully it’s another reason why we will push forward as a team and get to where we want to be. "You have seen the players who have come in, they have done a job and it just shows how together they are. “We have trust in the group." 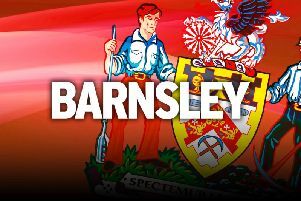 The availability of McGeehan and Brown, with nine goals between them in all competitions, is a big plus for Barnsley following the end of their three-match bans. The Reds, although unbeaten in 18 league matches with six consecutive clean sheets, have failed to score in four of the last six matches. “Any team in this league would miss those two players,” Tonge said. “The positive of them getting three games was it was done in a week. “Their fitness isn’t a question, they did extra work with myself and sports science all week, so they will be fresh and ready to go and we cannot wait to have them back. “Fresh minds, they have had time to think, time to adjust and time to relax also. “Two fit and firing regular starters are good to have back. “I wouldn’t say it (not scoring) is a worry. It is a combination of things. The television cameras will be at the Bescot Stadium as Barnsley take on a Walsall side who are in the midst of a relegation battle. “Three points is what we are looking at,” Tonge said.